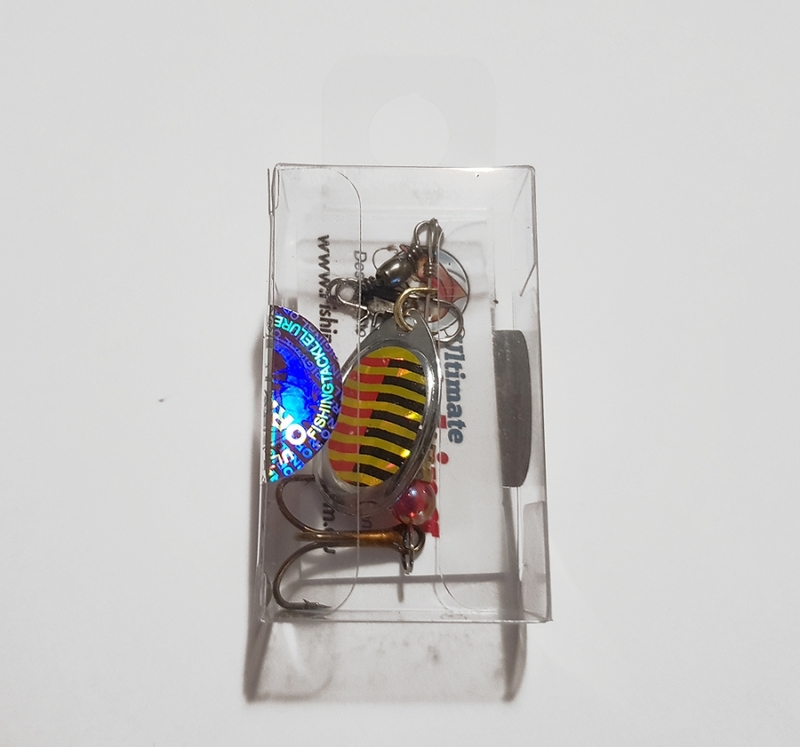 3 gram traditional in-line spin lure, exceptionally good for trout and redfin fishing. A good all round spin lure that will handle most spin rods provided they are light weight and have high flexibility. 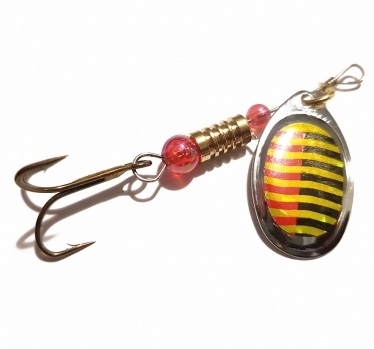 The lure blade is silver, with a design pattern containing red squares printed over a reflective surface to create what is known as rainbow iridescence as the blade spins. Depending on the position of the blade to the light source, multiple and differing bright colour patterns will reflect off the surface, this feature is added in an attempt to further catch the attention of passing and nearby fish.